Women Are Told To Fear Solo Travel. That Is Exactly Why We Should Do It Anyway. Last week I, like many readers around the world, woke up to find that The New York Times had published Adventurous. Alone. Attacked. It was sent to me no less than three times in the span of an hour. There are no words that can ease the pain of what these women (and their loved ones) have experienced. The comments were no more comforting — hundreds of stories of women who suffered assault while traveling alone, parents who feared for the lives of their daughters, and people who decided to give up a travel experience because they didn’t feel safe doing it themselves. 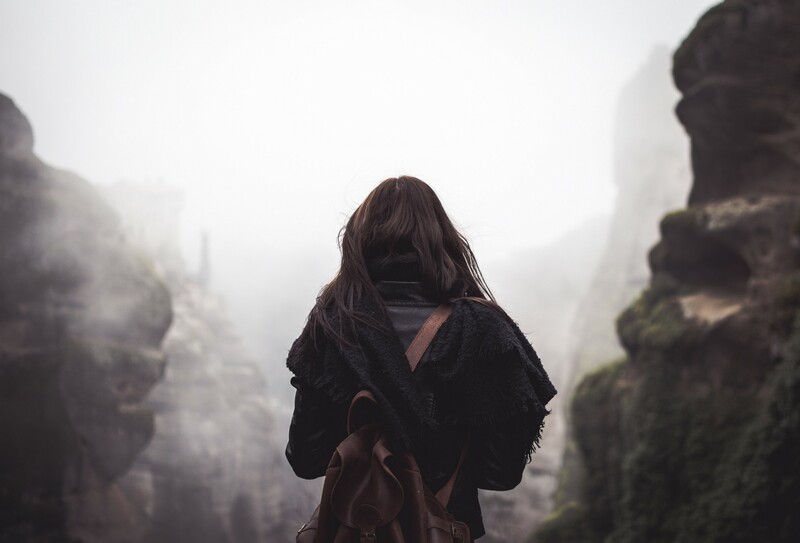 There are few statistics that address the true scope of these solo travel concerns, particularly the opportunity cost of so many trips that were abandoned by women who talked themselves out of travel. Tourism is arguably the world’s largest market, and solo women travelers make up 11% of that market size in the United States. In my own work, we have estimated that as many as 40% of the women in our community have at one point opted out of a trip because they didn’t feel safe, or because of someone else’s concerns about their safety. But what if that were never the case? What if our plans to travel alone were no longer met with furrowed brows and pursed lips, not to mention our own anxieties about our safety while abroad? The only way to create this future is to do exactly the thing which we fear: We must travel more. And we must be loud about it. 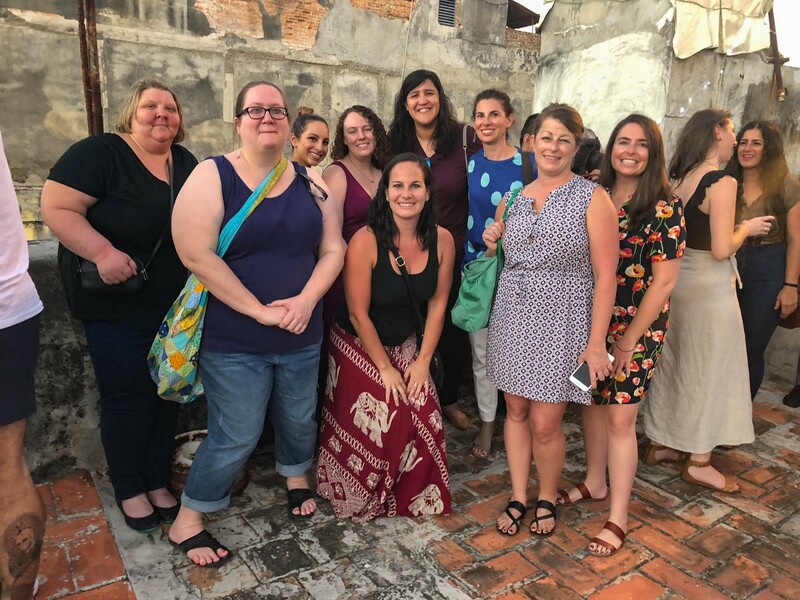 Wanderful women traveling to Cuba with CubaConnect. Many of these women joined the trip alone, and enjoyed the community of other women to share experiences with. I am the founder and CEO of Wanderful, an international community of over 40,000 women who love to travel, many solo. We gather online and in 46 chapters around the world for women to share their love of travel with others who get it. We are the creators of the popular travel industry/influencer conference the Women in Travel Summit, where we hone our respective crafts, build lasting partnerships, and discuss the evolution of the travel landscape and our role in making that more inclusive. Our community is exceptionally diverse — young women fresh out of college, widows and empty nesters who are trying solo travel for the first time, mid-career professionals who are sick of waiting for their friends’ vacation time to come around, people of varying ethnicities, nationalities, income levels, and everything in between. Women in Travel Summit 2018 in Quebec City. While not everyone travels alone, many have considered it. 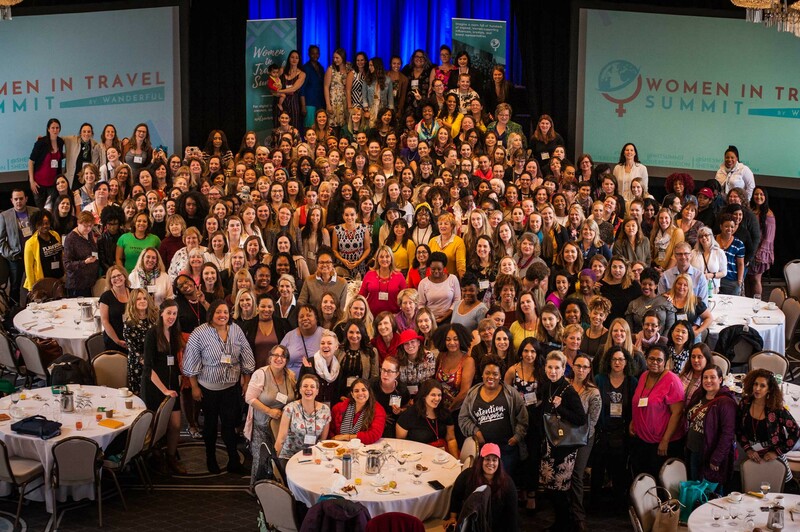 In our frequent Women Traveling Solo 101 workshop, I am always amazed to see just how many of our attendees have actually traveled alone before. This tells me a few things: first of all, that the fears of traveling alone are still not stopping many women from doing it anyway. But also that those fears are real — whether serious anxiety about assault or violence abroad, or even more nuanced concerns about the social implications or loneliness factor of eating at a table for one. And finally, that there is a real need for community and a support network before you leave, while you’re traveling, and even when you return home. We often begin our workshop talking about how there are typically two completely opposing narratives that society places on the solo woman traveler. It’s either the Eat, Pray, Love narrative (that we will have this life-changing adventure while simultaneously stuffing our faces with pasta and gelato) or the much darker (and, forgive me, overly simplistic) “murdered in a dark alley” narrative where, well, you know what happens. 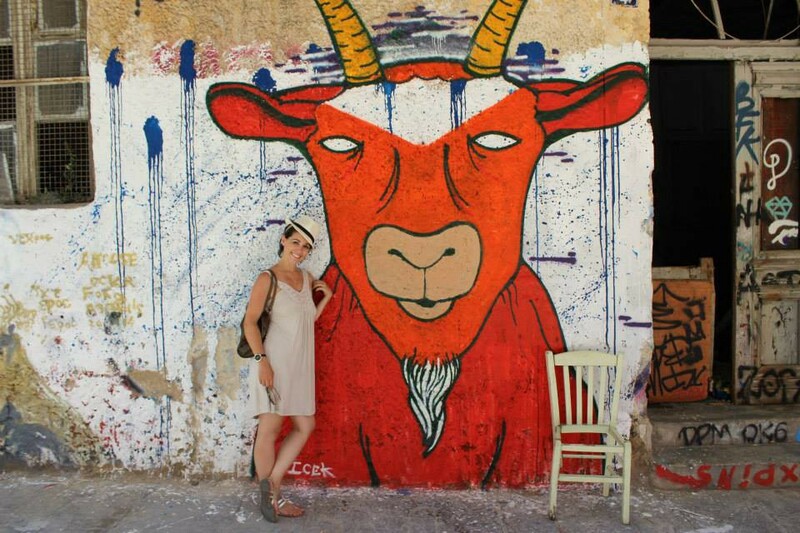 We either think of solo travel for women as absolutely delightful or prohibitively dangerous. It’s never somewhere in the middle. Luckily, some of the overt sexism has subsided, at least to a degree. You may remember the high-profile case of Sarai Sierra, a woman who was murdered in 2013 while traveling alone in Istanbul. Yet despite the sheer horror of the story itself, I couldn’t help but be equally horrified by the nature of the comments: What in the world was this woman doing leaving a spouse and children home while traveling by herself? And, a personal favorite, What kind of husband would let his wife do that? I am not here to argue about whether solo travel is “safe” for women or not. That question is entirely objective to who is asking or answering it, and fails to take into account what exactly we mean by “safe” and the nuances of each context — a place’s cultural norms, how a traveler’s unacknowledged privileges can impact what they view as safety (or the lack thereof). I will say that, on a global scale, women have still not achieved equality, and strong links have been established between gender parity and GDP, which means we can also generally assume that many lower-income countries tend to have a wider perceived gender gap. I say “perceived” because the gender gap in the United States, for instance, is alarming. And this gap has everything to do with the subsequent perception and treatment of women and women’s rights (not just by men). I will also say that solo travel is generally less safe than traveling with a partner or in a group, and that anyone who exercises the choice to travel alone should take precautions, like making a photocopy of their passport (and avoiding carrying it on their person when possible), keeping friends and family at home updated on where you are, and avoiding sparsely populated areas at night. I believe my husband, a Major in the Marine Corps, should exercise these precautions as much as anyone else. But there is a fundamental difference between physical safety and the still very valid concerns about unwanted attention, street harassment, and sexism. You will be hard-pressed to find a woman who hasn’t been a victim of at least one of these during her travels. In fact, I experience them everyday just riding the T in Boston. The homesharing economy isn’t immune to that. Despite the fact that hyper-local, experiential travel is on the rise, many women are left out of the truly special experiences you get when you can connect one-on-one with a local, often because their safety concerns have caused them to opt out. In fact, we discovered that 54% of our audience avoided the homesharing economy when traveling by themselves, even when they used it regularly with friends, partners, and family. This is why we recently launched the first identity-verified homesharing network for women. 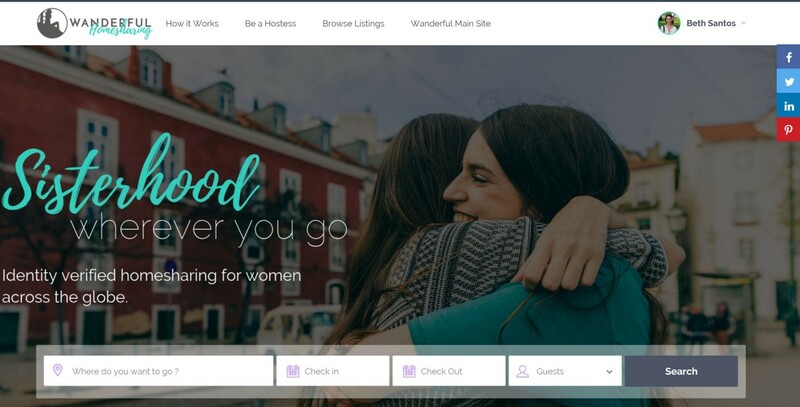 We’re helping women find, meet, and stay with other women while they travel, and helping hostesses earn an income while hosting women in their home (often focusing on private rooms and personalized experiences). We video-verify every participant in our network, and are building a platform that takes into account other verification methods so travelers and hostesses alike can feel secure. We already have listings in nine countries around the world. I can’t tell you how many times I’ve spoken to a prospective investor who was surprised that women’s travel was “a thing”, thought that the market was “big enough”, or felt that the inherent problem we were solving could be addressed with better guide books. By creating a network that caters to women travelers, we do not feed into or perpetuate existing fears. We give women a space to build powerful, positive relationships with other women around the world in whatever capacity they choose. We open doors to them that they feel have been shut in their faces. In this space, other women’s organizations have blossomed: group trip operators like Purposeful Nomad, WHOA Travel and Damesly. Community builders like Danny Rivers-Mitchell of Black Girls Travel Too (mentioned in the NYT article), Annette Richmond of Fat Girls Traveling, and Olga Maria Czarkowski of Latinas Who Travel. Companies that provide resources and support for women who are survivors of violence abroad like Pathways to Safety. But there is more we need. Better support, including travel insurance, for people who feel unsafe while they’re traveling. Investors who understand that the time is now to funnel their investment dollars toward products and services that target the female demographic, rather than just providing mentorship and lip service. We need the private sector to address the unique needs of women beyond ensuring the hotel room has a good supply of beauty magazines. A solid place to start is with your leadership. Most senior leaders in travel are white and male. Consider promoting that manager who you think is a rising star but just needs one more year of experience. Trust me, she doesn’t. We need our influencers to be authentic voices for us. We need you to show us that sometimes travel is not glamorous, and that it can be done by women of all ages, sizes, and races. Stand up against any pressure to paint your picture too rosily. Talk about privilege, and how that feeds into safety. Open up conversations with your audiences and your partners. Share your feedback with the destinations and companies that you collaborate with. And we need our travelers to please, please keep traveling. Talk about your experiences and dispel myths. Share your stories when you come home, and push back on those who shame you for daring to explore. Tell the travel brands you love what your needs are, and don’t let them shy away from discussing the hard topics. Hold them accountable. Cis men, you’re part of this, too: Speak up when you see something that looks off. Stand up against sexist comments directed at or about women. Two years ago, I gave birth to a baby girl. It wasn’t long before I understood the fear that must pass through the mind of every parent whose child studies abroad. I suddenly realized that I would do anything to ensure her safety when, one day, she’s thousands of miles away from my arms’ reach. But it’s not money, or gadgets, or tips that will ultimately make Nora safer the day she ventures out into the world. I can arm her as much as I want, but the world must change too. We cannot stop women from traveling (nor should we). But we can listen to them and address their needs. We can advocate for a safer world for everyone. We can back solutions that create real, tangible change. We can talk about the challenges we face along the way. And to do that, we must travel. Founder/CEO of @sheswanderful & @atthetablehq, creator of @witsummit. Fierce advocate of women helping women. Shameless new mom.